Happy Wednesday Lovelies! Today I am sharing this pretty spring time look for this week's Tulip Twist! 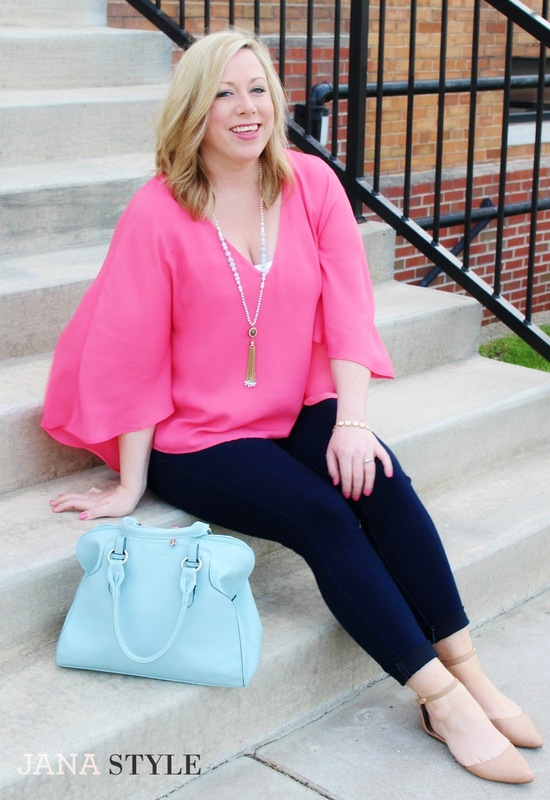 Tulip Boutique has asked me and few fellow KC bloggers to style this gorgeous Cupcakes and Cashmere "Della" V-neck blouse. I love the romantic silhouette and flowy drape style! 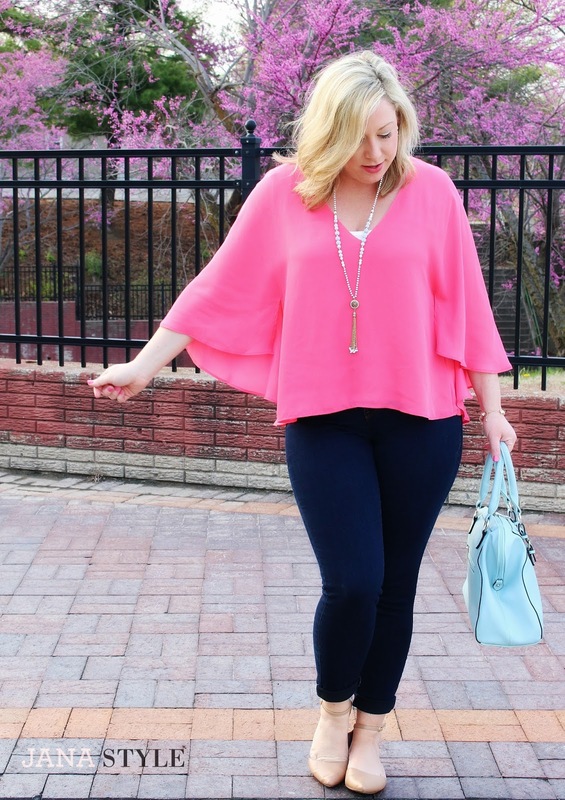 It reminds me of the cape styled tops that I have really been loving in my wardrobe lately! *This post was done in partnership with Tulip as part of the Tulip Twist challenge!